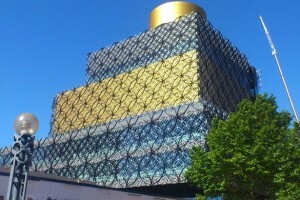 Birmingham bookworms are getting into good hobbits – after choosing Bilbo Baggins to open the city’s new £188 million library. Readers have chosen J R R Tolkien’s classic fantasy tale The Hobbit as the first book to grace the showpiece Centenary Square building. Builders hand the library over the city council on Monday, and an army of workers is set to begin the mammoth task of putting more than 400,000 books on the shelves,ready for the doors opening to the public on September 3. Library chiefs asked readers to choose which book should have the honour of being first, putting out an appeal on social networking site twitter. And The Hobbit, scenes from which are said to have been inspired by Tolkien’s childhood in Birmingham, took the No 1 spot.